Papers: 1840-1900, 2.5 linear feet. The papers of John Armor Bingham include correspondence, speeches and articles (both printed and autograph), despatches, official papers, bank drafts, I.O.U.s, canceled checks, and receipts. Papers: In the Felton Family Papers, ca. 1839-1920, approximately 500 items. Correspondents include John Armor Bingham. Papers: In the Hamilton Fish Papers, ca. 1732-1914, 85 linear feet. Correspondents include John Armor Bingham. A finding aid is available in the library. Papers: In the Ulysses S. Grant Papers, ca. 1843-1969, 100 linear feet. Correspondents include John Armor Bingham. Microfilm: 1840-1901, 4 microfilm reels. The papers of John Armor Bingham contain correspondence, legal papers, financial papers, pamphlets, and clippings. The papers relate chiefly to John Armor Bingham's ministry to Japan, Asian Affairs, and U.S. policies. Papers: 1848-1913, 0.25 cubic foot. The John Armor Bingham Collection includes letters, a letterbook, and miscellaneous items which highlight Bingham's political positions. Also includes diaries and letters of Emma Bingham reflecting life in Japan and personal matters. A finding aid is available in the repository. Papers: In the Joshua R. Giddings Papers, 1795-1864, 2.5 cubic feet. Persons represented include John Armor Bingham. An inventory is available in the repository. Aynes, Richard. "On Misreading John Bingham and the Fourteenth Amendment." Yale Law Journal 103 (1993): 57-104. ------. "The Antislavery and Abolitionist Background of John A. Bingham." Catholic University Law Review 37 (1988): 881-933. ------. "The Chief Prosecutor of President Andrew Johnson." The Midwest Quarterly 31 (1990): 408-422. Bingham, John Armor. The Amendment of the Constitution: Speech of Hon. John A. Bingham of Ohio in the House of Representatives, January 25, 1866. [Washington: N.p., 1866]. ------. Bill and report of John A. Bingham. [Washington? : N.p., 1858]. ------. The conference bill for the admission of Kansas. Speech of Hon. John A. Bingham, of Ohio. Delivered in the U. S. House of Representatives, April 28, 1858. Washington: Buell & Blanchard, Printers, 1858. ------. The enforcement of the Constitution and laws of the United States and the rights of the people. Washington: F. & J. Rives & G. A. Bailey, printers, 1871. ------. Impeachment of the President: Remarks of Hon. 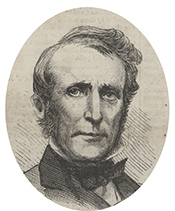 John A. Bingham, of Ohio, in the House of Representatives, February 22, 1868. [Washington, D.C.]: Printed at the Congressional Globe Office, . ------. Increase of the Army. [Washington: Printed at the Congressional Globe Office, 1858]. ------. Kansas contested election. [Washington, D.C.: N.p., 1856]. ------. The Lecompton conspiracy. Speech of Hon. John A. Bingham, of Ohio. Delivered in the House of Representatives, January 25, 1858. [Washington, D.C.: Buell & Blanchard, printers, 1858]. ------. The mission to Rome. Washington: Cunningham & McIntosh, printers, 1870. ------. One country, one Constitution, and one people. Speech of Hon. John A. Bingham, of Ohio, in the House of Representatives, February 28, 1866, in support of the proposed amendment to enforce the bill of rights. [Washington: Printed at the Congressional Globe Office, 1866]. ------. Policy of the President: Speech of Hon. John A. Bingham of Ohio, delivered in the House of Representatives, January 9, 1866. [Washington: N.p., 1866]. ------. The power and duty of Congress to provide for the common defence [sic] and the suppression of the rebellion. [Washington: Scammell & Co., printers, 1862]. ------. Presidential campaign of 1872. Opening speech in support of General U.S. Grant. Delivered at Elyria, Ohio, July 10, 1872, by Hon. John A. Bingham. Translated into Chinese & published at Tientsin, China. Eli T. Sheppard, consul. Tientsin, China: N.p., . ------. Self-preservation the right and duty of the general government, The Rebel states but organized conspiracies--not constitutional states, nor entitled to state rights. Speech of Hon. John A. Bingham, of Ohio, in the House of Representatives, March 12, 1862. [Washington: N.p., 1862]. ------. Speech of Hon. John A. Bingham, of Ohio, on the civil rights bill; delivered in the House of Representatives, March 9, 1866. Washington: Printed at the Congressional Globe Office, 1866. ------. Speech of Hon. John A. Bingham, of Ohio, on the reconstruction of the Union; delivered in the House of Representatives, January 16, 1867. Washington: Printed at the Congressional Globe Office, 1867. ------. State of the Union. Speech of John A. Bingham, of Ohio, in the House of Representatives, January 22, 1861. [Washington: Printed at the office of the Congressional Globe, 1861]. ------. Trial of the conspirators, for the assassination of President Lincoln, Argument of John A. Bingham, special judge advocate, in reply to the arguments of the several counsel for Mary E. Surratt, David E. Herold, Lewis Payne, George A. Atzerodt, Michael O'Laughlin, Samuel A. Mudd, Edward Spangler, and Samuel Arnold, charged with conspiracy and murder of Abraham Lincoln, late president of the United States. Delivered June 27 and 28, 1865, before the Military commission, Washington, D.C. Washington: Government Printing Office, 1865. Foraker, Joseph Benson. John A. Bingham. Columbus: N.p., 1902. Hammond, William Alexander. Reply of the judge advocate, John A. Bingham, to the defence [sic] of the accused, before a general court-martial for the trial of Brig. Gen. William A. Hammond, Surgeon General, U.S.A. Washington: Government Printing Office, 1864. Herold, David E. The trial of the alleged assassins and conspirators at Washington city, D.C., May and June, 1865. For the murder of President Abraham Lincoln. Full of illustrative engravings. Being a full and verbatim report of the testimony of all the witnesses examined in the whole trial, with the argument of Reverdy Johnson on the jurisdiction of the commission, and all the arguments of counsel on both sides, with the closing argument of Hon. John A. Bingham, special judged advocate, as well as the verdict of the military commission. Philadelphia: T.B. Peterson & brothers, . Riggs, C. Russell. "The Ante-Bellum Career of John A. Bingham: A Case Study in the Coming of the Civil War." Ph.D. diss., New York University, 1959. Shotwell, Walter. "Bingham," in Driftwood: Being Papers on Old-Time American Towns and Some Old People. London and New York: Longmans, Green and Co. Ltd., 1927. Swift, Donald. "John Bingham and Reconstruction: The Dilemma of a Moderate," Ohio History 77 (1968): 76-94.